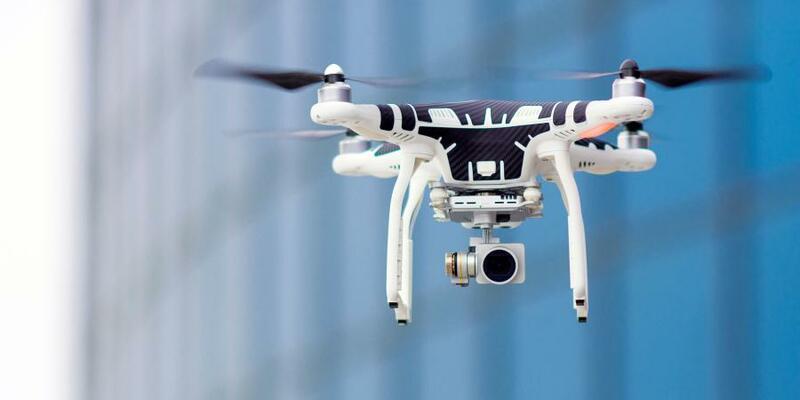 Construction is one of the industries that is anticipated to see the largest drone spending this year, according to International Data Corporation (IDC). So which technologies are deemed some of the hottest on the jobsite now? Industry insiders point to drones, lasers and wearables, to name a few. The Association of Equipment Manufacturers (AEM) provided an overview through CONEXPO-CON/AGG 365 online. Learn more at http://www.conexpoconagg.com/subscribe/. While both laser and digital tools have been available for some time, widespread availability and lower entrance price points are making their precision available to a growing number in the workforce. “From laser levels and layout guides to laser measurers, new tools are coming on the market that are more precise and affordable,” said Russ Gardner of Calculated Industries. “Now, measurements can be accurate to one thousandth of an inch or a degree, helping improve quality and reduce material waste,” he added. Equipping employees with such tools will help them build better and faster, and taking a systematic approach to planned replacement of existing old technology with the new technology can be a cost-effective approach. Drones are becoming more familiar on the jobsite. Construction is one of the industries that is anticipated to see the largest drone spending this year, according to International Data Corporation (IDC). Today, drones can be outfitted to mark global positioning system (GPS) locations or take an infrared picture of a concrete wall to examine possible defects. This allows construction companies to more accurately see projects, plan accordingly and quickly adjust as the project moves forward. Wearable technology can increase both the safety and security of construction workers along with their efficiency. This technology too is becoming more common on the jobsite, as price points begin to drop, and implementation and training become more affordable and faster. Ryan Liss points to vests that can detect a worker's temperature and cool them down when needed or a boot that detects when a worker slips and falls. Another example: wearable technology with biometric systems that track heartrate to help companies prevent worker exhaustion. As the scope of wearable technology rapidly increases, “companies will have to first identify what it is they want a technology to improve on the jobsite and then determine which technology is right for them,” Liss said.